I have a problem with calling any fruit-related product "sugar free." Let's face it . . . even with a non-calorie sweetener, anything made with fruit shouldn't be called "sugar free" because fruit has sugar! However, it's the 'added sugar' that throws the carb level over the top. 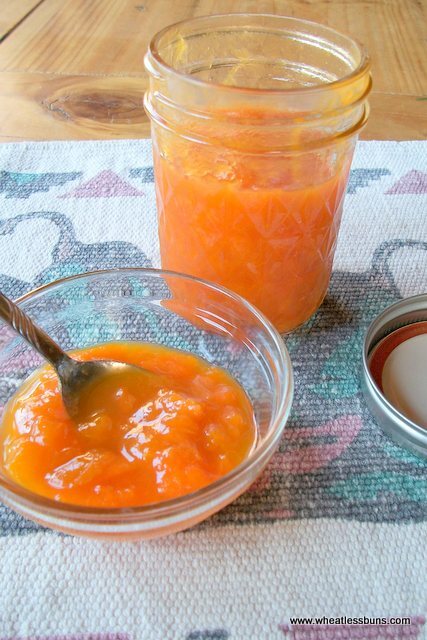 I suppose I could have called this recipe "Easy Non-Added-Regular-Sugar Apricot Preserves," but that just seemed a little too cumbersome. So, I look at it this way . . . if Smucker's can get away with calling their product "Sugar Free Apricot Preserves", then I can, too :-) I personally like Smucker's "Sugar Free Apricot Preserves", but I have a personal issue--there's a 5-gallon bucket of apricots sitting in my kitchen and I need to do something with them, like, YESTERDAY! 1. Mix all ingredients together in a non-reactive saucepan. 2. Bring to a boil on medium heat while stirring with a wooden spoon. 3. Turn heat to low, stir periodically, and cook for about 20-30 minutes--or until preserves are slightly thicker or reduced to about half. 4. Remove from heat and allow to cool. 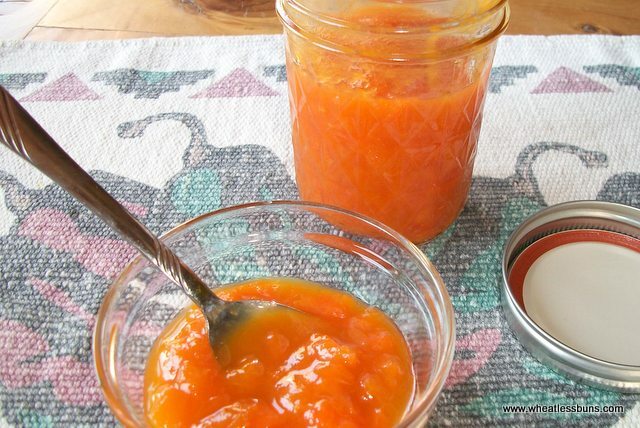 Spoon into a jar and store in the refrigerator for 3 days or keep in the freezer. Makes about 1/2 pint. Enjoy! 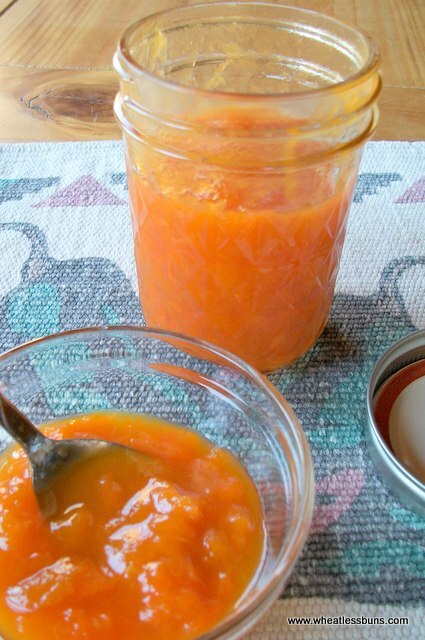 *Note: Choose apricots that are ripe, firm, and NOT MUSHY. 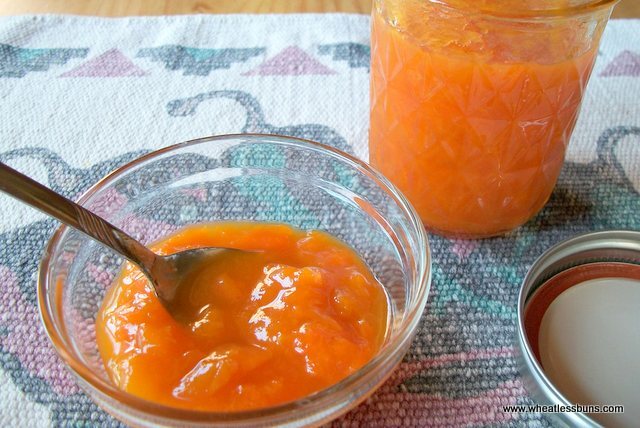 It's okay if a few are slightly under ripe because they'll produce more of the natural pectin.